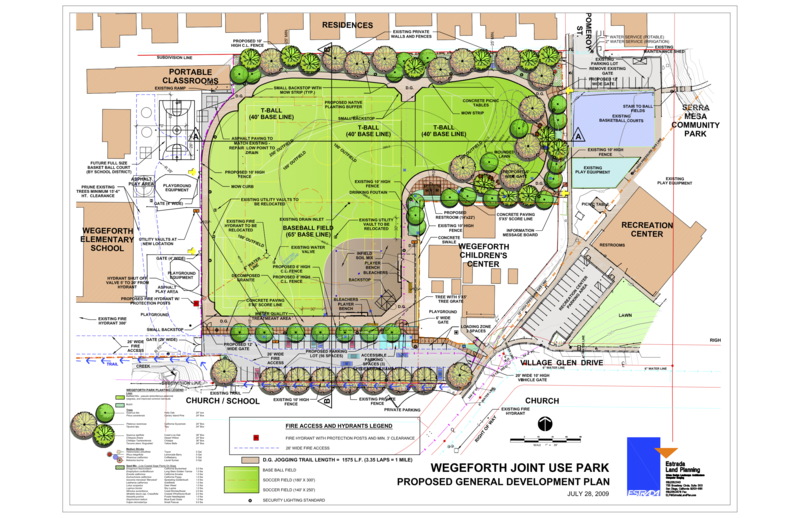 The Wegeforth Joint Use Park will be used by students when school is in session. The community will have access when school isn’t in session. Construction is expected to be completed in December 2015. The park is primarily being funded by fees collected from the Mirabella multifamily housing development located on Kearny Villa Road adjacent to Cabrillo Heights Park. Planning for this project began almost six years ago. The design of the park is the result of meetings with the Serra Mesa Parks and Recreation Council (a community group), City staff, and consultants. The plans can be viewed at this link. To read more about the groundbreaking see here and here.